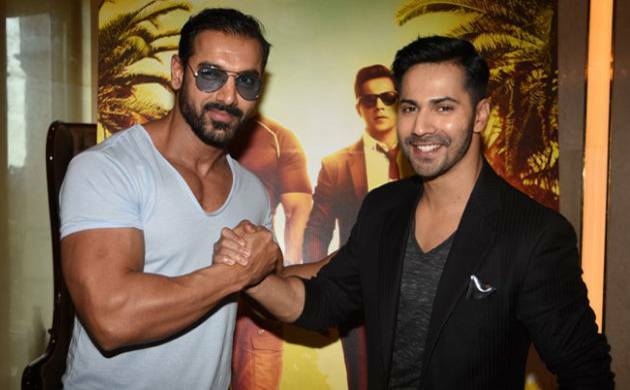 Actor John Abraham says doing action sequences is easier for him than matching dance steps with "Dishoom" co-star Varun Dhawan. The 43-year-old "Rocky Handsome" actor, who has an image of an action star, said he had a tough time dancing with Varun. "If you would dance with Varun it's just extremely tough," John said on a promotional event of their upcoming action-adventure movie. When asked, if the actor found any stunt in the film difficult, John said, "Stunt is not a big problem and it can be easily performed by anyone what actually matters is the attitude of the action hero." The actor believes while doing action one should have an attitude that they can save the world. "The attitude should always be there on your face that you can do action and save the world. Actors like Bruce Willis in 'Die Hard,' Sylvester Stallone, Vin Diesel and Dwayne Johnson, all these stars have such attitude, they don't save one building or house but the entire world and that is what important and that kind of attitude you should have," he said. "Dishoom" will hit theaters this Friday. Directed by Rohit Dhawan, it also stars Jacqueline Fernandez.